As if the GTI Performance model needed an update... Volkswagen: you had us at 'GTI'. Back in 2014, when we test drove the Volkswagen Golf GTI Performance on Irish roads for the first time, we gave it an undisputed five-out-of-five stars. Now, as part of the 2017 model year updates to the Volkswagen Golf range as a whole, the GTI has been tweaked further. The entry-level Golf GTI gets a power boost to 230hp, while the Performance version reviewed here produces 245hp, making it the most powerful official Golf GTI yet made. As before, it gets bigger brakes and a fancy differential, plus a few others items of equipment for what we believe will be a good value price. In short: no reason for it not to gain the full five stars once more. The updated Volkswagen Golf GTI gains full LED lighting front and rear, including low and high beam headlights, daytime running lamps and 'sweeping' rear indicators. That's probably the most obvious update to the car, though the bumpers are new too, the front one closer in appearance to that of the Golf GTI Clubsport and the rear item, as before, housing the large exhaust outlet at either side. Volkswagen Ireland fits new 18-inch alloy wheels - called 'Milton Keynes' - as standard, with two designs of 19s on the options list, while red brake calipers are standard. Elsewhere is the usual smattering of evocative red GTI badging and honeycomb trim. Inside, it's GTI business as usual, with a chunky flat-bottomed GTI steering wheel, loads of red stitching, the characteristic 'Clark' tartan-like cloth upholstery on sports seats, stainless steel pedals and more. The standard infotainment system is the new Composition Media Radio item with an eight-inch touchscreen and eight speakers, and the Active Info Display digital instrumentation is standard in Ireland on all GTIs. Many will upgrade to Vienna leather or the cool honeycomb cloth design and some will be curious to try out the optional gesture controlled Navigation System Discover Pro, but we'd suggest there's nothing at all wrong with the Golf GTI's standard specification and the interior remains beautifully put together as ever - eclipsing most of its rivals in terms of ambience and quality. The regular Golf GTI does it all; it can play the role of comfortable and refined family hatchback with aplomb for starters, effortlessly dealing with the daily commute or school run as well as any regular Golf. Indeed, it's quieter than the diesel models. Sure, the low profile tyres and lowered sports suspension add a firmness to proceedings, but it's all so well-judged that nobody could call it uncomfortable. And yet, even without the optional adjustable damping fitted to our test cars, the Golf also manages to be hugely agile and engaging in the corners. The variable ratio steering is brilliantly engineered, resisting nervousness at the straight ahead while making the car feel keener the more you turn into a tight corner. All this is true of all examples of the current GTI, but the Performance version has an extra couple of tricks up its sleeve. First of all, it gets larger front brakes. In fairness, the standard brakes will be sufficient for most drivers as they resist fade well and have plenty of stopping power. The pedal feel and modulation are spot on as well. The larger brakes give the particularly enthusiastic driver a little more in reserve. Of more importance though is the GTI Performance model's upgraded limited slip differential. The standard car uses XDS, referred to as an 'electronic differential'. This uses the brakes to mimic the effects of a limited slip differential, and it's quick-acting and useful to a certain extent at helping rein in the power while cornering, especially in damp conditions, but it has limitations, in that it always seeks to slow a wheel. 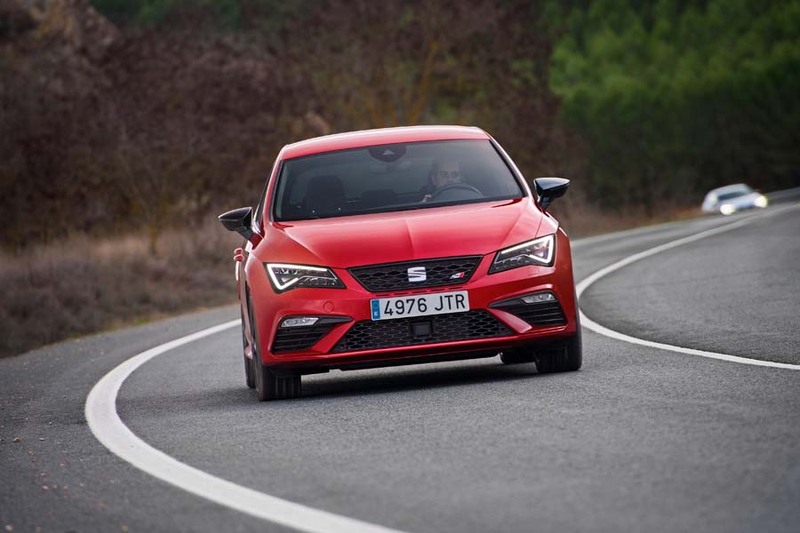 The electronically controlled differential in the Performance model, called VAQ, is effectively the same as that used in the SEAT Leon Cupra 300, and it sends torque to the wheel with the most grip. In a tight left-hand corner, for example, that means the right-hand wheel, and the effect is for the car to be pulled and turned through the corner the more power you apply, banishing push-on understeer, increasing cornering speeds and massively improving driver enjoyment. It even works best when you switch the ESC stability control system into its mid-way Sport setting. Equipped with this differential, the Golf GTI's front-drive chassis can cope with plenty of power and for the 2017 model year the Performance variant gets a boost to 245hp and 370Nm of torque. There are faster hot hatches, but at no stage does the GTI feel lacking as, other than what feels like an electronically controlled torque limit in first and second gears to protect the transmission that initially seems to be turbo lag. But other than that the power delivery is seemingly endless and there's always more on tap. Nobody needs a car that's faster than this basically. Not everyone will love the noise the sound symposer makes when in Sport mode, as it's a fraction fake, but it doesn't matter as it gives it a sporty sound that clearly distances it from lesser Golfs - notably the GTE. Speaking of sound, the updated GTI Performance gets a seven-speed DSG auto in place of the old six-speed item, which is very slick, but we reckon in its pursuit of perfection Volkswagen has lost a fraction of the old system's personality and the full throttle upshifts aren't punctuated with quite such a pronounced 'blap' from the exhaust as they used to be. Still, the DSG will remain the favoured transmission, even if the standard six-speed manual gearbox adds an extra layer of interactivity between car and driver. It goes back to my opening line of this section: most buyers of the GTI buy it to suit a variety of roles, not just enjoyable driving on interesting roads. GTI pricing starts at €38,570 on-the-road. That's for the three-door model with 230hp and a manual gearbox. The five-door version costs €1,000 more, while the six-speed DSG automatic adds €1,800. We don't yet know how much the Performance upgrade will be, but we'd estimate less than €1,500. For the record, all GTIs have a generous level of equipment that includes 18-inch alloy wheels, sports seats and steering wheel, tinted rear windows, electric windows all-round, LED lighting all-round, eight-inch touchscreen infotainment, Bluetooth, USB and aux-in ports, front and rear Park Distance Control, automatic lights and wipers, dual-zone climate control, adaptive cruise control, Active Info Display, App Connect and a wealth of active and passive safety systems. Many new rivals to the Golf GTI have been launched since it came on the scene in 2013, but it's testament to its inherently right formula that it has taken minor tweaks to keep it absolutely at the top of its game. Sure, there are faster and more driver-focused hot hatches on the market, but none that has the same quality feel, all-round desirability and dual-purpose as the Volkswagen Golf GTI. The Performance version doesn't detract from any of that while making it even more enjoyable to drive. 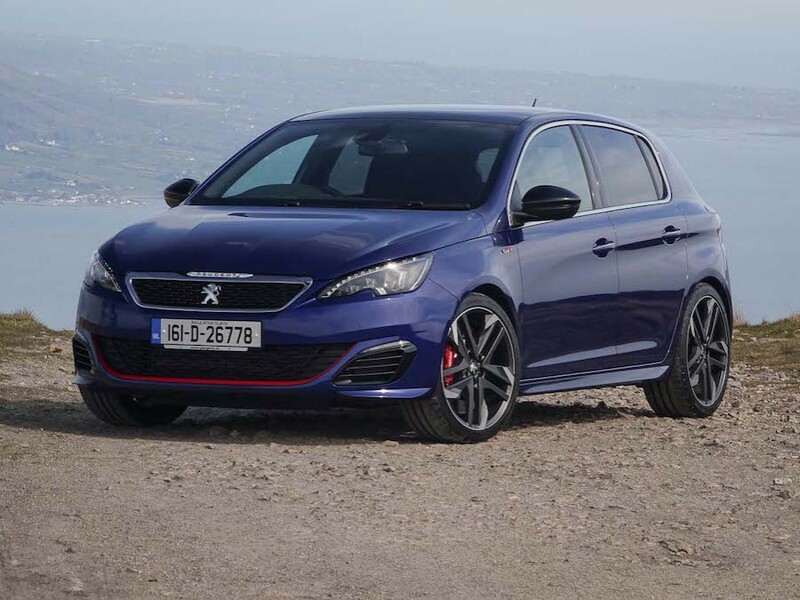 Peugeot 308 GTi vs. Volkswagen Golf GTI Performance: very likeable car that looks stunning and is sure to be rare, but not as civil as the Golf, though it is more powerful. SEAT Leon Cupra 300 vs. Volkswagen Golf GTI Performance: updated Leon has much more power and driver focus than the Golf GTI, and it's cheaper to buy. Not as classy, perhaps, but a fantastic car for those that love to drive. 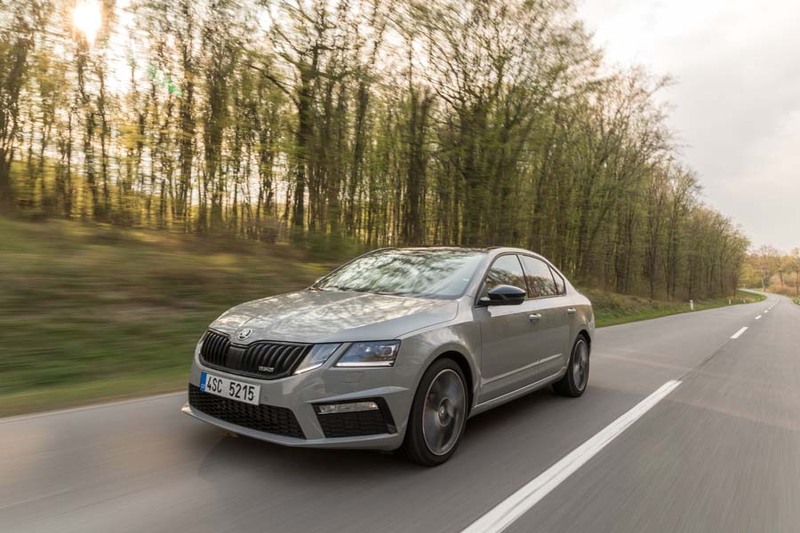 Skoda Octavia RS 230 vs. Volkswagen Golf GTI Performance: in-house rival will be offered in 245hp guise as well. The Skoda is more spacious and almost as good in every way, but the GTI badge has a bigger following.